Commissioned by Airbus, the Fraunhofer Institute near Munich in Germany is presently performing research on improving the impact of cabin environment on passenger health in long distance flights. Atmospheric pressure, relative humidity, vibration, and air composition all affect human comfort in an aircraft. In a simulated airplane cruising at 30.000 feet, experimental passengers are monitored for their reaction under real flight circumstances. 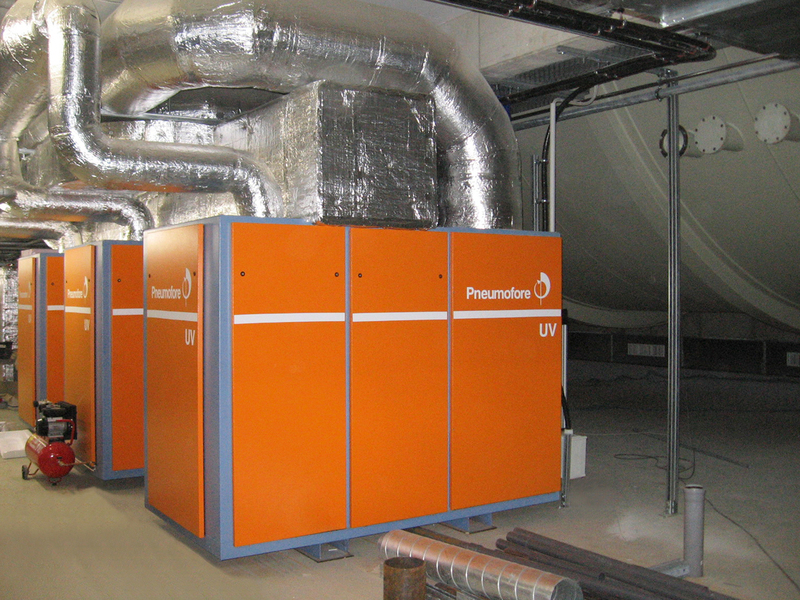 Pneumofore supplied the vacuum system essential for generating the changing conditions. 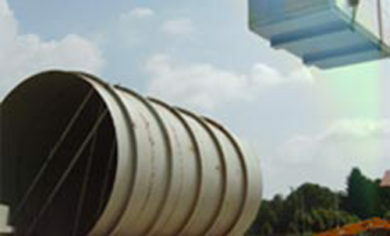 The test facility consists of a building containing an airtight, tubular enclosure built around the section of an A310 airplane. 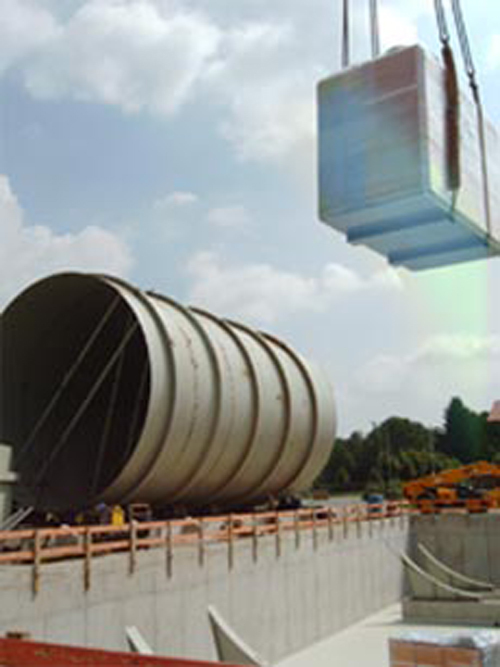 The volume of air between airplane and enclosure is approximately 2.500 m3. The primary task for the vacuum system is to reduce the pressure from 1.024 mbar(a) to 760 mbar(a) in 20 minutes (8.000 ft altitude). In a second phase, the atmospheric pressure is further reduced down to 400 mbar(a), also within 20 minutes (24.000 ft altitude). Lastly, another drop to 180 mbar (abs) in the same amount of time (32.000 ft altitude). Other project criteria were reduced noise, electricity usage (especially startup performance peak). 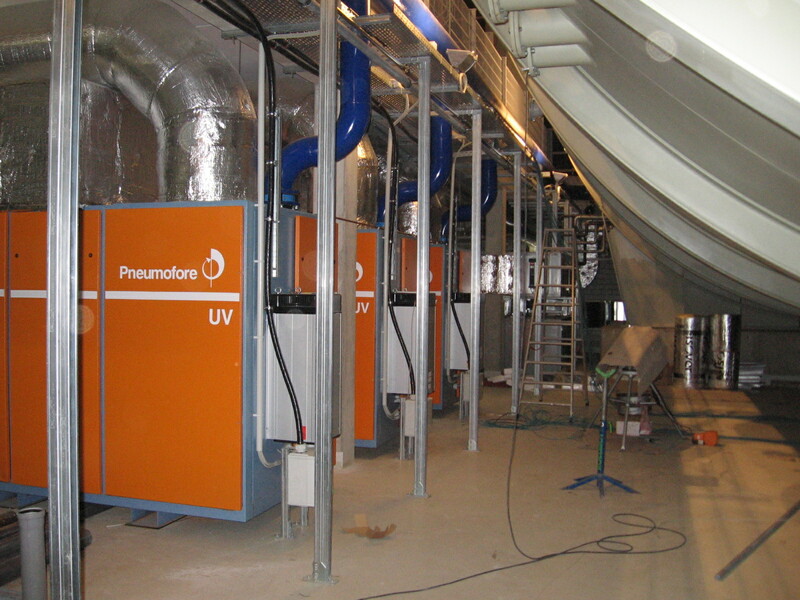 Three Pneumofore UV50 units provided the ideal solution for this project. With a large capacity and a range of frequency variations between 35 and 65 Hz, this vacuum pump system satisfies the challenge posed by changing absolute pressure as it corresponds to a specific cruising altitude. 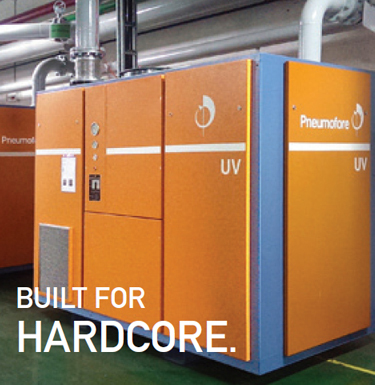 The UV Series’ high efficiency at 270 kW (nominal) and low noise output (75 dB(A)), however, were equally essential for the successful fulfilment of the application requirements. 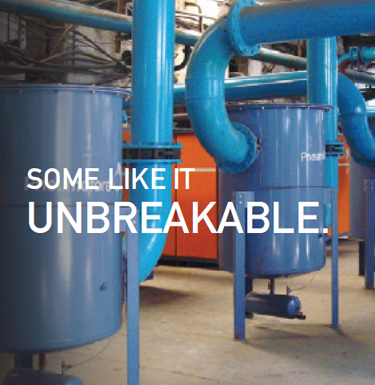 Started in 2005, the pumps are air-cooled and run only a few hundred hours per year. The site is open to public and also generated interest by other leading aeronautic manufacturers. 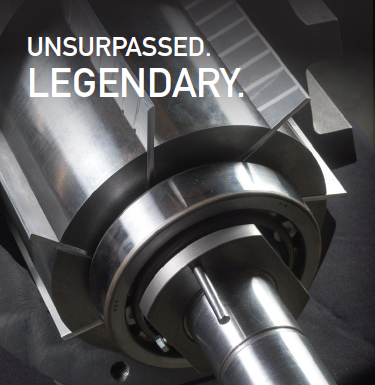 Due to the rarity and scientific nature of the project, all technical specialists in the Pneumofore engineering department were in involved and participated with marked enthusiasm.